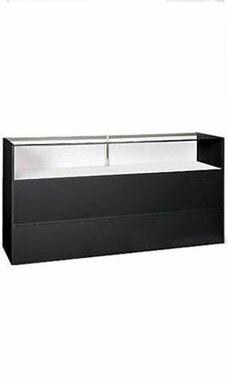 The Jewelry Display Case with Black finish is a modern classic that will give you years of affordable elegance and dependability for your jewelry store. Our case offers a number of features for your money that you will be happy that you took advantage of. 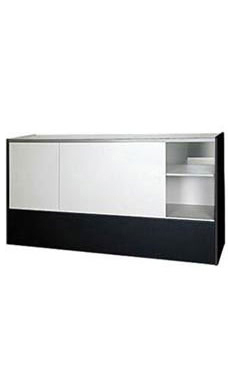 The jewelry case features a low pressure melamine laminate finish with tempered glass top, front and sides. Additional features include white sliding rear doors and concealed rear storage area. Wood crating for secure shipping is included in the price of the case.